The Safe Driving Medals were awarded to Fred Sykes, a bus driver with Huddersfield Corporation. 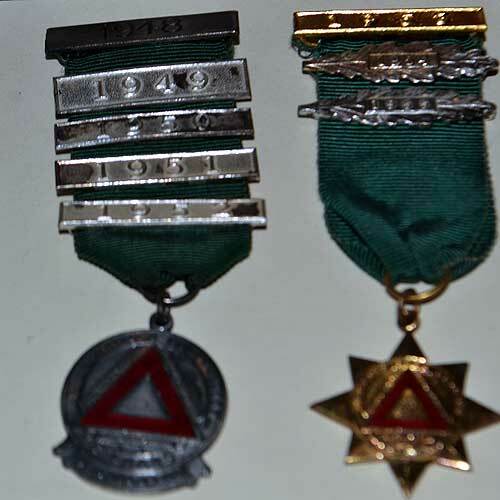 These medals were awarded by the Royal society for the Prevention of Accidents. This organisation was founded in 1916 because of the worrying amount of traffic accidents on the roads. RoSPA campaign for a ‘life free of serious accidental injury’. To this end they promote the exchange of skills and knowledge to reduce serious accidental injuries. They run schemes to teach children and adults road safety. 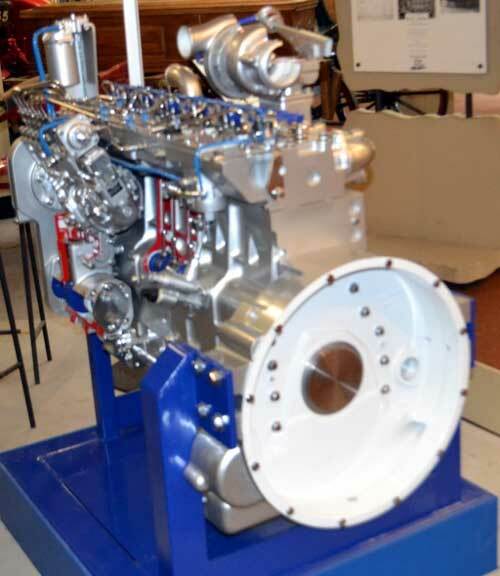 This display engine was made to demonstrate the engineering expertise of Cummins, formally Holset of St Andrews Road, Huddersfield. It is a turbocharger, a rubber damper and an air compressor. The Holset turbo chargers are leaders in their field and purchased by leading engine customers world wide. They can be found in vehicles ranging from highway trucks to Paris – Daker rally racers. The turbo charger compresses more air flowing into the engine’s cylinder to generate more power and improve the engine’s efficiency. This gives better fuel economy and reduces emissions. Transport Galley, Tolson Museum. A wonderful photograph of people travelling on local public transport. 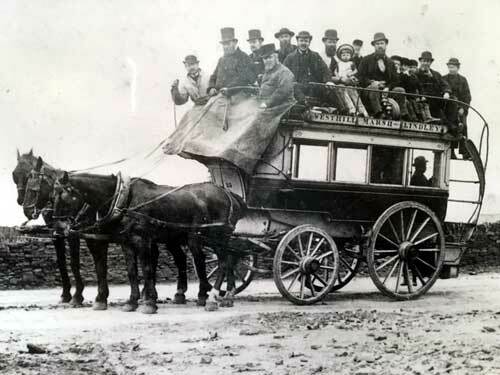 The horse drawn omnibus was a large enclosed and sprung vehicle with benches going down each side and , as you can see, seats upstairs, but in the open. This was the main form of public transport providing local services from the 1820s to the introduction of trams in the early 20th Century. Look carefully at this picture. How many horses are there? Transport Gallery, Tolson Museum. health of George III. There have been nine pies since then. The pie made in 1887 for the Golden Jubilee of Queen Victoria spoiled and had to be buried in quick lime. The one baked in 2000 was 40′ long, 9’wide and 3′ deep. The dish was designed by Huddersfield University. This pie was the biggest baked. 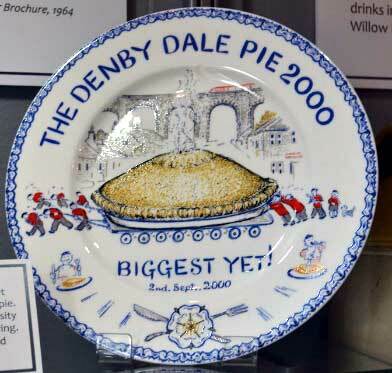 It weighed 12 tonnes and was enjoyed by 22,000 people. It was cut into by Dickie Bird. 96. 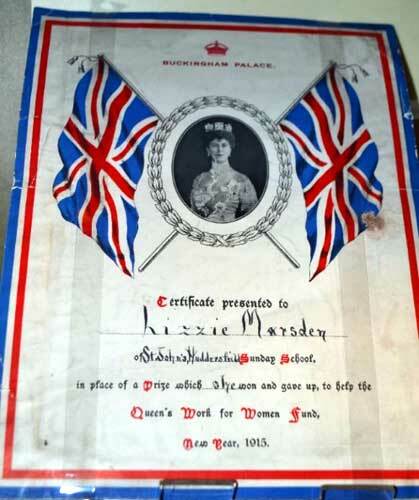 Certificate awarded to Lizzie Marsden, New year 1915. This certificate was awarded because Lizzie had chosen to give the money that would have bought her a Sunday School prize to the ‘Work for Women Fund’. A little known effect of the start of the war was that in some areas women lost their jobs. In September 1914, Queen Mary appealed for money for a ‘Work for Women Fund’. The appeal was immediately successful and in the first week raised £33k. The money was used to reopen workshops to make clothing and other items for the war effort, providing work for women and items for soldiers. 97. Read Holliday 1809 – 1889. 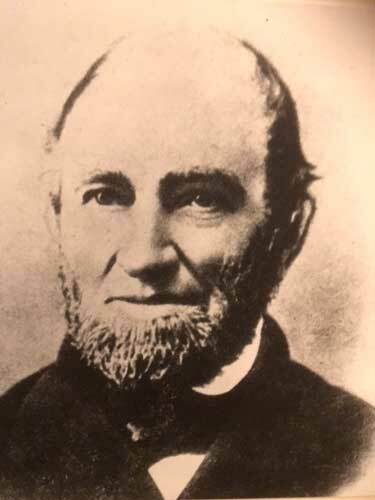 Read Holliday was a pioneer in the chemical and dyestuffs industry. At the age of 21 he set up his own chemical business in Tanfield Street, Huddersfield. He made ammonia from the waste products of the local gas works. He sold this to the local textile industries where it was used for wool scouring. In 1839 as a result of the growth of the business, and complaints of local residents, he moved his business to Turnbridge, Huddersfield. He continued to expand the works making such products as creosote, pitch, washing powder, soda ash, Epson salts and dye products. Many products were sold to developing industries such as the railways. He made naptha and patented a naptha lamp. In 1855 he built Lunnclough Hall, a 34 room residence in Edgerton, Huddersfield. He had a family of five sons and two daughters. With two of his sons, Thomas and Charles, he developed a range of synthetic dyes. In 1866, they were granted the patent for violet, blue, black, red, yellow and green synthetic dyes. These dyes helped to make the design and quality of Huddersfield Textiles very special . The business continued to develop. The site at Turnbridge stretched for 2 miles. They had six other chemical works in the country. Thomas and Charles set up a works in Brooklyn USA. When he retired in 1868 his firm was a leading national and international manufacturer in synthetic dyes. In 1915 it became ICI. In 1916 his grandson Lionel Holiday set up LB holiday Dyes next to ICI. 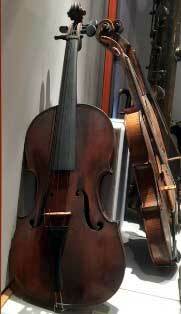 This violin was made in Huddersfield in 1875. There were several instrument makers in Huddersfield at that time including a firm of organ builders who are still in business. There is a small collection of locally made instruments in the museum. Interest in music making in the Huddersfield area grew rapidly in the 19th century with most villages having a brass band, a choir or even an orchestra. The Huddersfield Choral Society was founded in 1836. These musical organisations still flourish giving concerts throughout the year. Huddersfield is also internationally known for the Modern Music Festival. Tolson Museum. 99. 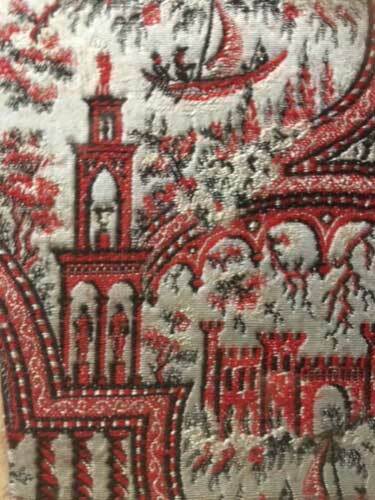 A wonderful piece of fabric produced on a Jaquard Loom. This design is described as ‘one of the choicest of the designs by William Etchellls.’ It was made to demonstrate what could be produced from a Jaquard Loom. This punch hole card process made the creation of complex patterns possible. Fabrics such as this were exhibited at the Great Exhibition of 1851. They were made of a combination of threads, mainly wool and silk. Mills throughout Huddersfield developed their ability to produce such cloth throughout the 19th and 20th centuries. Though most of the mills have gone fine quality cloth is still being made in Huddersfield. 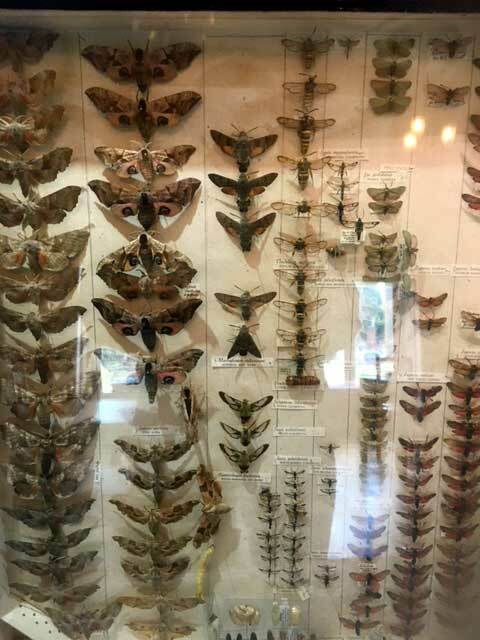 Tolson Museum. 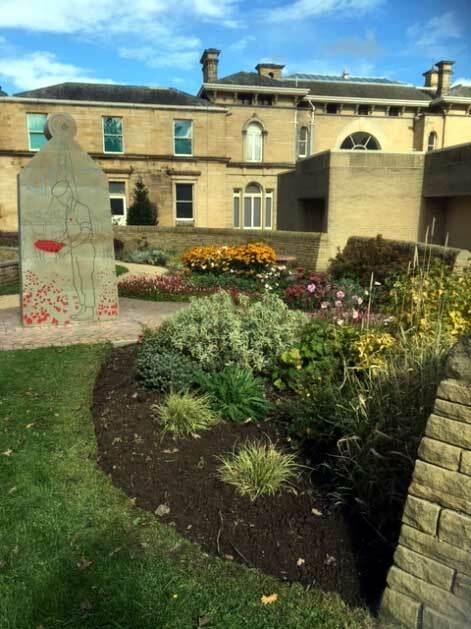 This Garden, to the rear of Tolson Museum, has been built to commemorate the men and women who have been killed in conflicts, in particular those since the Second World War. There is a time line in the footpath in the Garden listing many of the events. Local residents and schools were consulted over the design of the memorial. The Garden includes a performance area where a programme of plays and musical events are held in the summer. A group of Friends maintain the Garden. The Friends of Tolson & Ravensknowle were awarded £100k Heritage Lottery Money to create this Heritage Memorial Garden.